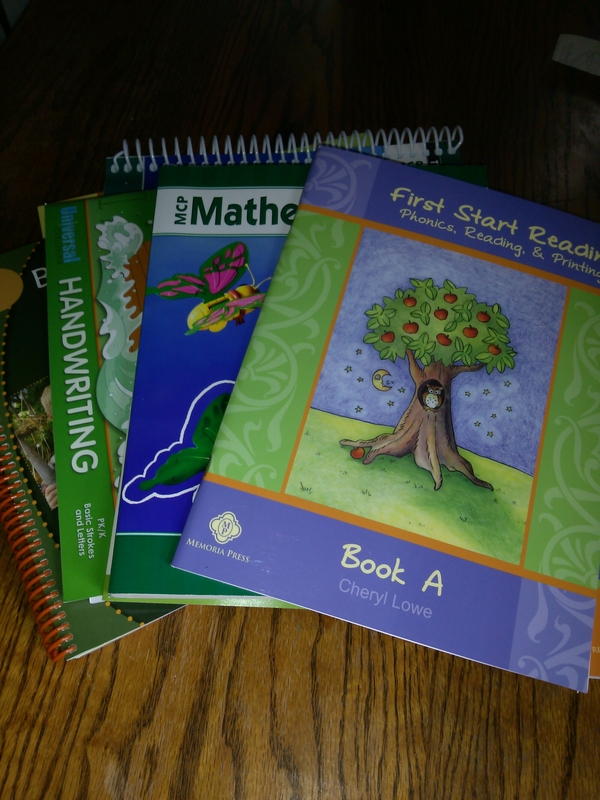 The summer and fun in the sun may be on almost everyone’s mind but the teacher in me is screaming to start preparing. For what? School in September of course! I am not sure if it is from my previous public school teaching positions but the summer seems to always remind me to start getting ready. I’ll be in the garden thinking of everything we could be doing RIGHT NOW! I get so revved up but Tractor Man wants to run, play and dig worms. So what do you do? You prepare anyway. To be honest preparing lessons for Tractor Man has been a challenge for me. I have great materials to use but I have to stop and remind myself “he is 4, don’t overload him”. The former public school teacher in me was used to having at least one, usually two, back up activities to go to if a lesson finished faster than I expected. I was always terrified to have someone look into my classroom and see students sitting idly. 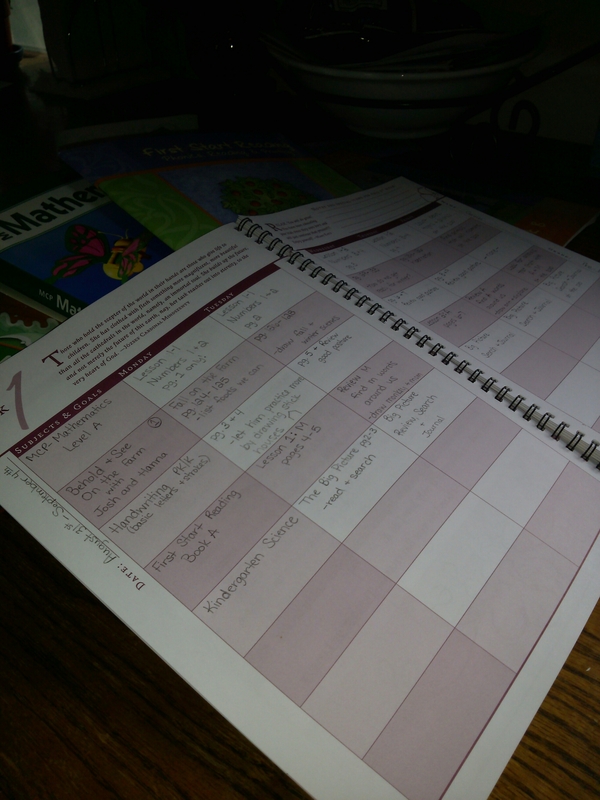 So first things first, I got out my lovely lesson planner (yup I’m one of those crazy plan ahead moms) and started going through each book and filling in what I want him to accomplish in that day. Remember this is a road map but there will be detours and short cuts that come up. If Tractor Man can fly through science we will move up a grade level. If I need to slow down for writing (Boys usually need to) not a problem. I have even built in field trips. Library days, zoo trips, and nature walks all can be educational. Plus, they give you all a break in the weekly at home cycle. tractor Man will be drawing pictures, keeping a journal, and listing animals and plants with certain requirements (like starting with the letter A-he is only four after all). With the lessons ready for Tractor Man I will now need to turn my attention to ideas and activities to keep Tag Along busy. I know he is going to want to join in on the fun so hands on will be essential. Check back for updates on keeping Tag Along working. The key to teaching is to be prepared. It does not matter if you are a public school teacher, first time home school mom, or seasoned educator all of us need to be prepared. Pur kids listen and learn so much better when their teacher leads them with confidence and organization. Now is your chance. Start early and be prepared! You may just find that you all will want to start school soon since you will become so excited.